Have interest rates fallen since you began paying on your current mortgage? How much have they fallen? Are interest rates predicted to go up? Has your credit score changed or improved recently, perhaps enough to qualify you for a mortgage with lower interest rates? 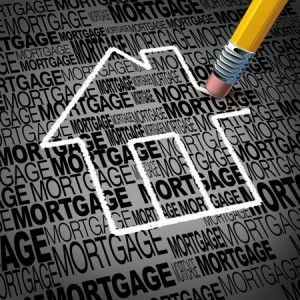 Do you want to change the terms of your mortgage or perhaps apply for a different type of mortgage loan? Are you looking for a way to get cash from the equity built up in your home? If your answers lead you to believe refinancing is a good idea, you should be aware of what’s involved in a home refinance. First of all, you must be eligible. The approval process may be similar to the process you went through to get approved for your first home loan. Look to pay approximately 3 percent to 6 percent of your outstanding mortgage principal in refinancing costs. These fees may vary depending on your state of residence and your lender. Sometimes, you may be able to avoid paying upfront fees by having the lender cover the closing costs, although that might mean a higher interest rate over the life of the loan. The second option to avoid upfront refinancing fees is to have the fees rolled into the new loan. Check with the lender to see if they have these refinancing options available. If you do plan to refinance, start with your own lender and see what options are available to you. The lender may be willing to reduce or eliminate the usual fees to keep your business. Using a loan calculator may help you decide if refinancing your home mortgage is in your best interest.